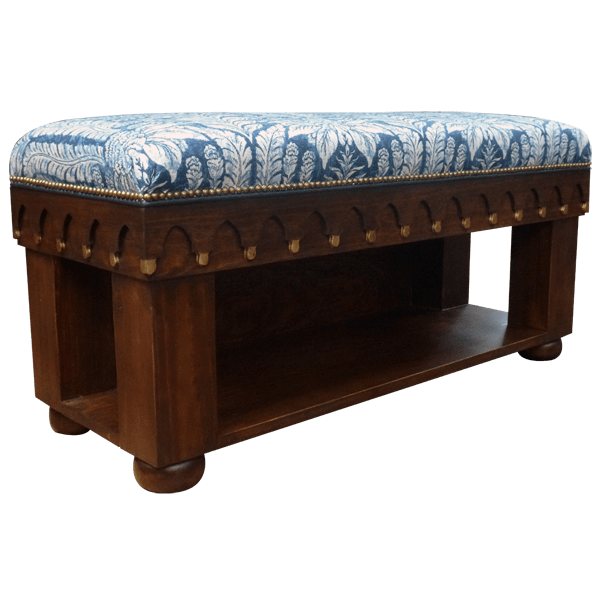 Complement your home décor with the elegant, classic design of this handcrafted, Western style bench. 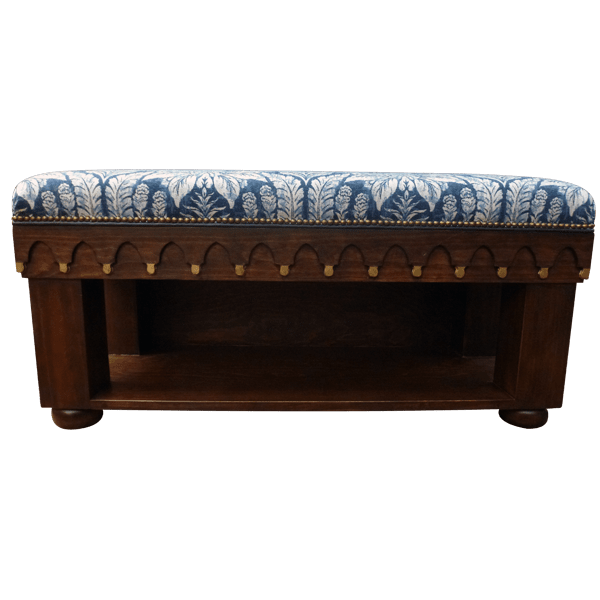 The bench has an open, rectangular, well padded seat, and the seat is upholstered with beautiful, blue and white, patterned, fine fabric. The fabric is precision hand tacked to the frame with lovely, gilt nails. 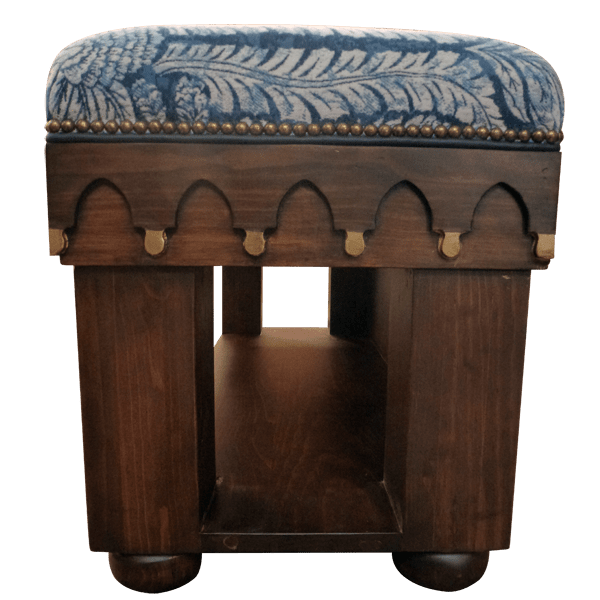 The seat rest on a solid wood base, and the sides of the base are embellished with a gorgeous, hand carved, scallop design, with gold tone details. The bench is supported by sturdy, square cut legs, and the legs are joined by a practical, solid wood shelf. The legs end in hand turned, bun style feet. It is made with the best, sustainable, solid wood available, and it is 100% customizable.